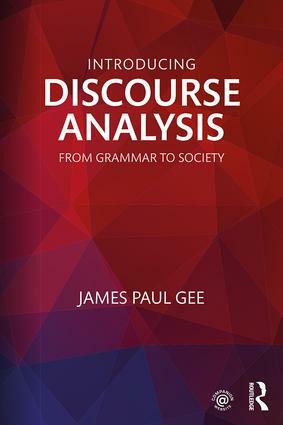 Introducing Discourse Analysis: From Grammar to Society is a concise and accessible introduction by bestselling author, James Paul Gee, to the fundamental ideas behind different specific approaches to discourse analysis, or the analysis of language in use. The book stresses how grammar sets up choices for speakers and writers to make, choices which express, not unvarnished truth, but perspectives or viewpoints on reality. In turn, these perspectives are the material from which social interactions, social relations, identity, and politics make and remake society and culture. The book also offers an approach to how discourse analysis can contribute to lessening the ideological divides and echo chambers that so bedevil our world today. Organized in a user-friendly way with short numbered sections and recommended readings, Introducing Discourse Analysis is an essential primer for all students of discourse analysis within linguistics, education, communication studies, and related areas.